Successfully Added Waterproof Sports Action Camera with Audio to your Shopping Cart. Waterproof Sports Action Camera with Audio Recording - the perfect extreme sports helmet cam that is as fast, durable, and powerful as any move you can pull. 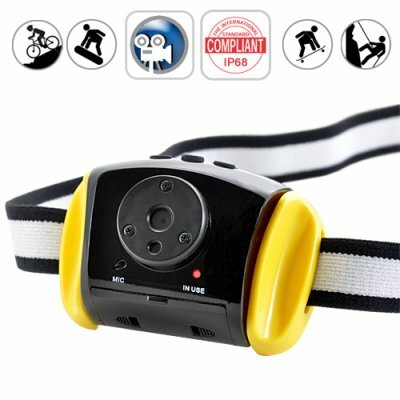 No matter if your passion is base jumping, high wire, sky surfing, aggressive inline skating, extreme motocross, ice yachting, street luge, or even water skiing - this sports action camera will capture your every moment. Available in our warehouse now, order today and we'll express ship it out tomorrow. Brought to you by the leader in China Electronics - Chinavasion.